Your "stuff" - what you would bring to a SAREX or other mission. Include wearing or bringing as appropriate uniform for the position sought. Hardcopy of your SQTR, printed form My Ops Quals. For those who currently hold MS, UDF and/or MSA ratings, bring a SQTR for the next rating you are working on. If you have a laptop with WiFi, bring it for yourself or to share with another. There will be a WiFi hotspot which can support up to 5 clients, plus one (mine) that will be tethered. This will allow real time, hands on support for items such as on-line tests, finding resources and just helping us all to learn how to navigate the maze of CAP websites. every Tuesday at the Tehachapi Airport from 6:00 p.m.
661.823.9231 or go to http://sq46.cawg.cap.gov "
Windy, windy, windy – but we had a great time anyway! Was blowing 30-knots WNW at 8:30 a.m. and let up slightly around 12:30 p.m., then later in the afternoon the direction shifted to SW. The hangars are full of dirt, again! Mojave Transportation Museum Foundation volunteers decided to set promotions table up inside the administration building so the post cards and posters didn’t fly down the flightline! Thank you to Midge Wright and Bill Deaver for their time and energy. We were amazed at how many visitors were from other states and outside the U.S.! Guests from the United Kingdom and Brazil were thrilled to be at Mojave Air and Spaceport, plus we had visitors from Las Vegas, NV; Phoenix, AZ; Atlanta, GA; Melbourne, FL; and Oak Harbor, WA. It was great to see folks from other parts of CA too, including: Penngrove, Santa Clarita, Los Angeles, Acton, Encino, Whittier, Long Beach, Lancaster, Bakersfield, Tehachapi, Ridgecrest, Edwards and Thousand Oaks. 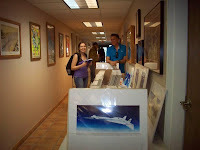 Aviation artist Doug Castleman joined MTM in the hallway with his beautiful display of aviation paintings and prints. He has a new painting of the Century Series aircraft on display at Edwards called Century Circle. Also on exhibit was an unusual water color on canvas with a new texture and brilliant colors. and standing in the hallway, because all of the seats were taken! 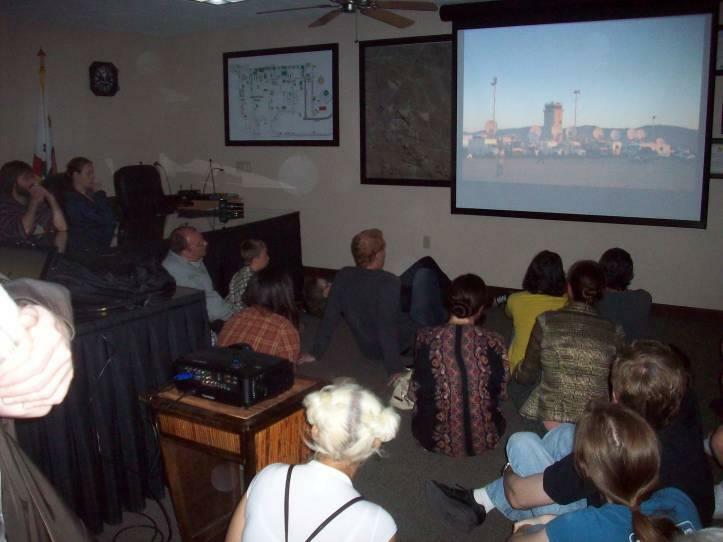 XCOR had invited many guests up from the L.A. area to view the mockup model of the Lynx Spacecraft located at their hangar, after Mike’s presentation. World War II WASP, Flora Belle Reece was in the audience for Mike’s lecture and enjoyed every minute. Bill Deaver took a photo as Flora Belle and Mike shared a laugh. Second District Kern County Supervisor Zack Scrivner and his two sons stopped by Plane Crazy Saturday and couldn’t find an empty table in the Voyager Restaurant. He was in Mojave to help kick off Opening Day of the Mojave Little League by throwing the first pitch! Al and Cathy Hansen were delighted to accept an invitation to throw out the first pitch for softball, as well. So many volunteers work together to make Mojave Little League a great success. Always say yes when you are asked to support our local youth sports programs! Colin Momberger of the Tehachapi Composite Squadron 46, California Wing Civil Air Patrol, United States Air Force Auxiliary was on hand with some brochures for recruiting new members. 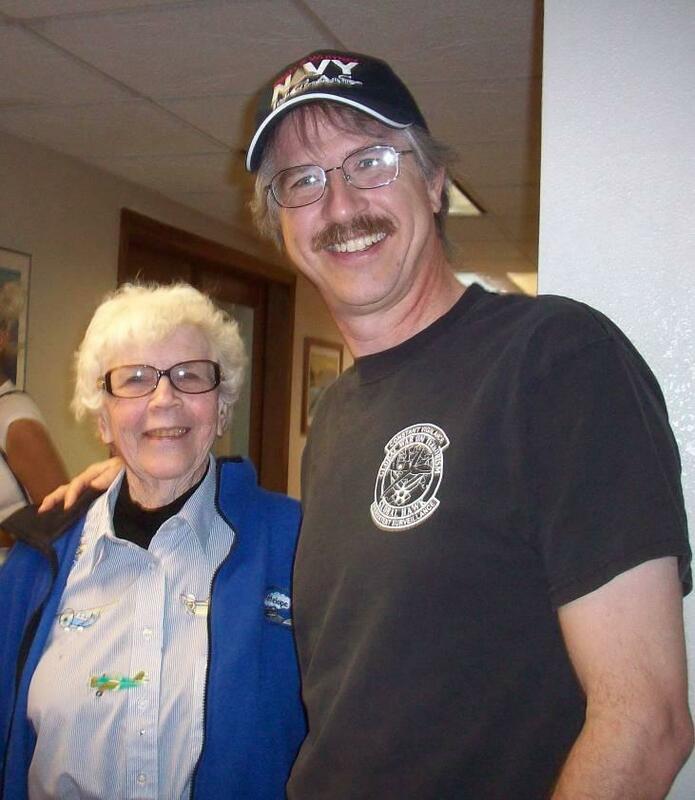 Cadet meetings are held every Tuesday at the Tehachapi Airport from 6:00 p.m. to 8:30 p.m.
Wen Painter is a faithful volunteer at Plane Crazy every month signing in pilots and is always happy to do a little ‘hangar flying’ with visiting pilots! 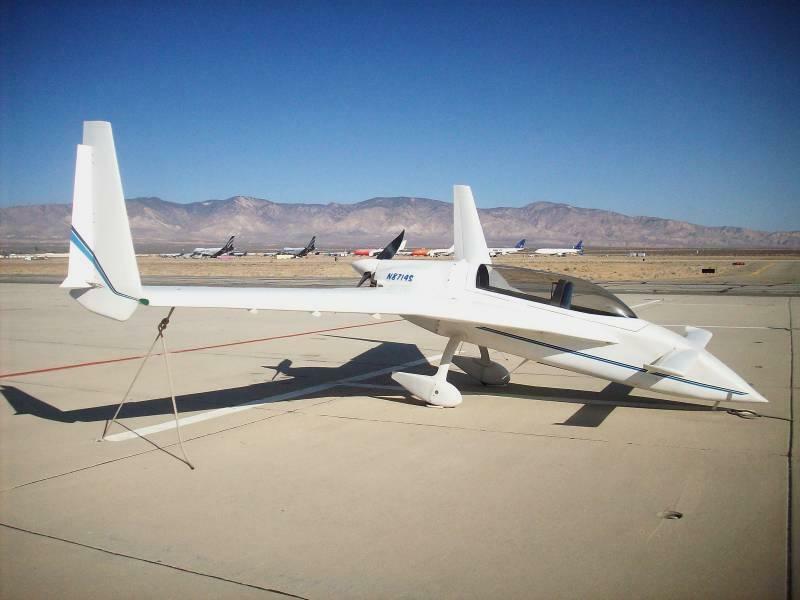 Doug Triplat, Mojave Air and Spaceport hangar owner and Rosamond Sky Park resident flies one of his planes to Plane Crazy Saturday every month! This month Doug flew his 1964 M20C Mooney over. He said the wind was right down runway 30 and the flight was very smooth from Rosamond. Everyone tied their airplanes down this month! You never know when a strong gust of wind will whip up from another direction and flip your airplane over. It has happened many times at this airport in years gone by. Alan Radecki, photographer, aviation historian, MTM Founding Board Member, train buff, maintains the Vintage Air Blog and author of A Mojave Scrapbook – Volume 1, is a regular at Plane Crazy Saturday. We always enjoy seeing Alan and Rebecca! Alan, his wife, Barbara and his step-daughter, Rebecca Amber, journalist for Aerotech News, attend the same church as Flora Belle Reece, so they are good friends. 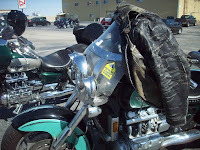 We had a nice contingent of motorcycles ride in from Thousand Oaks. Some were members of the Patriot Guard Riders. They added to the large group of patrons in Voyager Restaurant! Deidre, one of the servers at Voyager, never had time to stop for lunch for herself. She just worked non-stop! 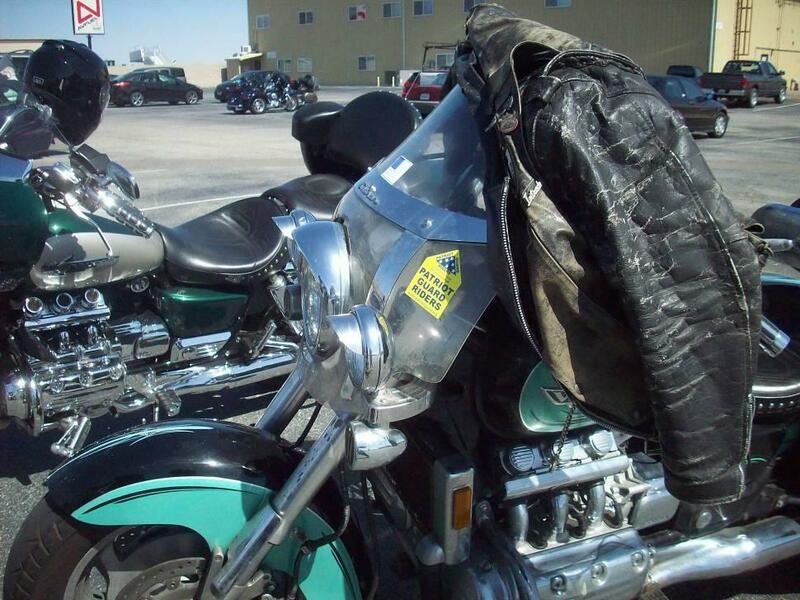 Look at the size of the engines on the motorcycles! Look like six-cylinder machines. They are all Honda’s. They look very powerful and very expensive!! Affectionately known as the “Stoof,” (S-TWO-F). The 1958 Navy S2F-1 Tracker torpedo bomber made by Grumman was on display. The Second World War demonstrated to the U.S. Navy that one of the key weapons needed to combat the deadly menace of unrestricted submarine warfare was a carrier based hunter-killer anti-submarine aircraft. 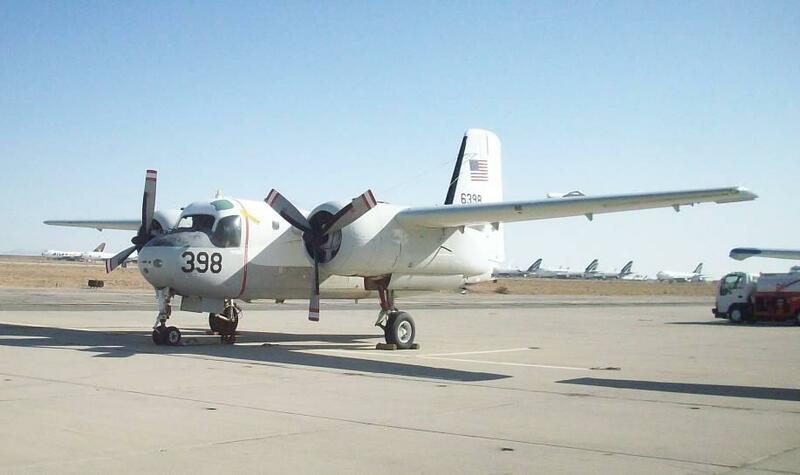 The Navy took delivery of its first Grumman S2F-1 Tracker in October of 1953. Conceived in 1950, when jet aircraft were rapidly replacing propeller driven aircraft in the Navy, the Tracker nevertheless went on to have a remarkably long service life. The first Tracker flew in December 1952 and it was the first aircraft design to combine the detection equipment and armament to hunt and destroy submarines - and operate from an aircraft carrier. 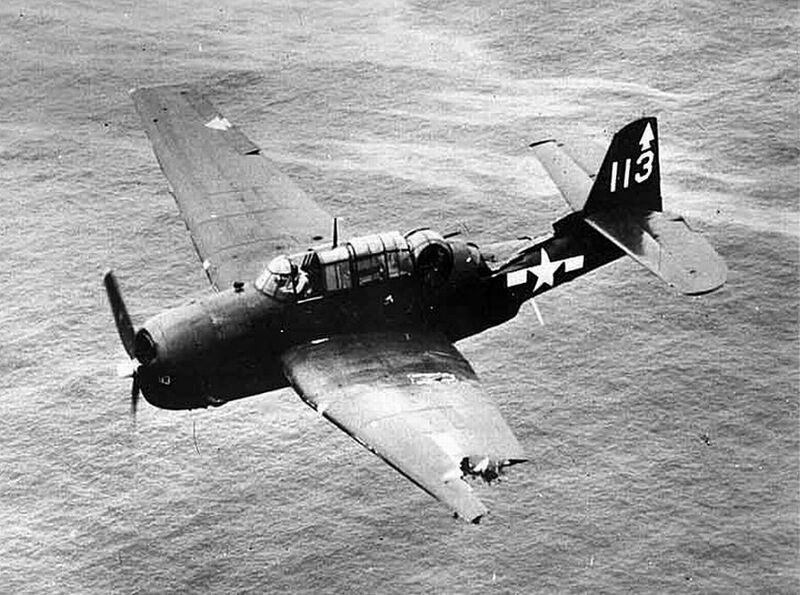 Before Trackers went into service in 1954, the U.S.Navy had been using single-engine Grumman AF-2 Guardians, working in hunter-killer pairs, with one plane detecting and locating enemy submarines and the other actually attacking it. 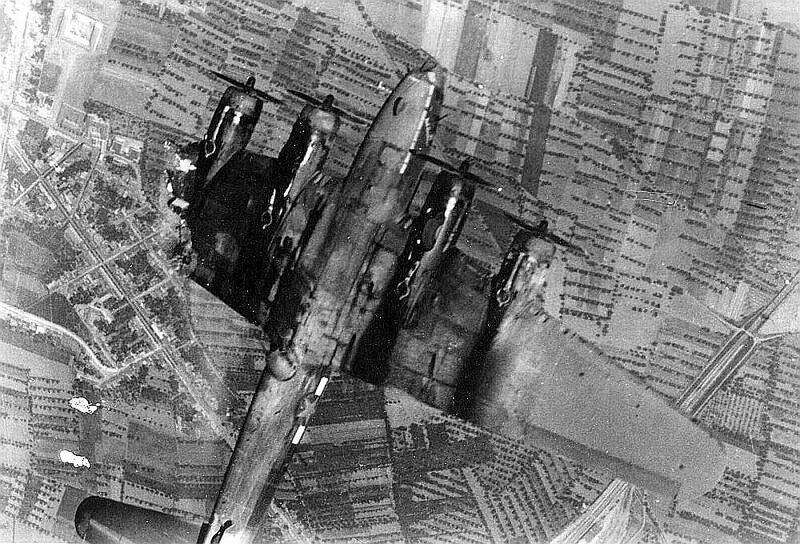 Individual twin-engine Trackers could do it all, as they were equipped with radar, searchlights, sonobuoys and Magnetic Anomaly Detectors (MAD) for detection and location, and sub-killing weaponry that included depth charges, homing torpedoes and bombs. The Canadair Mk-VI or more commonly known as the North American F-86E Sabre looked like she was ready for a flight. 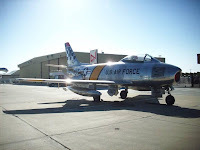 Even as the powerful F-100 and other Century Series jets were carrying the U.S. Air Force to supersonic speeds in the 1950s, the North American F-86 Sabre was still a trusted fighter. 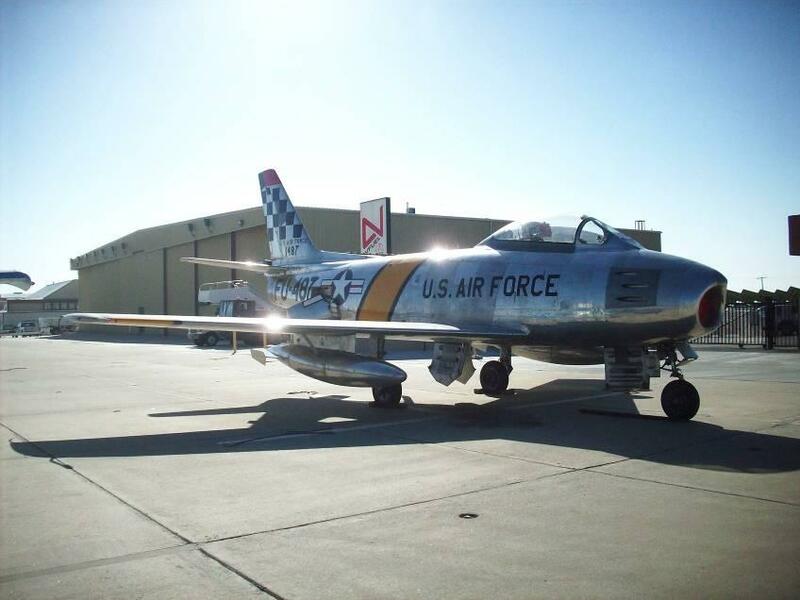 Its reputation as a MiG killer, earned during the Korean War, made flying the Sabrejet a young airman's dream. It wasn't easy, especially considering the competition. Many F-86 pilots were World War II veterans with combat experience. When the F-86 was rolling out to U.S. bases in the 1950s, North American Aviation dispatched its legendary test pilot, Bob Hoover, to show the fighter's safe handling and flying capabilities to Air Force pilots all over the world. Special thanks to Ron Langford and Mojave Air and Spaceport staff for their assistance with Plane Crazy Saturday. Thank you Ron for allowing some of our out of country visitors to purchase some spaceport hats and shirts! See you on April 20, 2013 when Elliot Seguin has a special Experimental Aircraft fly-in for Plane Crazy Saturday! ..thank you, Linda. Looks like an exciting event and well worth visiting! 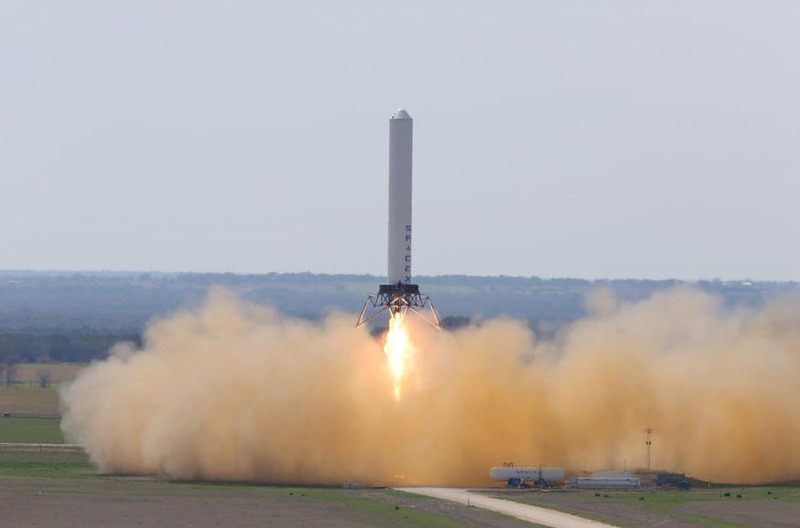 To learn what piece of space history this is a picture of, go to here. Continuing the effort to assure that all of the newest members are ready to take advantage of the next AFAM training that should arise, this Thursday will be a parallel track effort. Track 1 will be a GES cram course presentation for those who have completed Level 1, soon will and prospective members. Track 2 will be for those that have completed GES or beyond. For aspiring MS, MSA and UDF trainees it will be a one-on-one or one on few tutoring session to work through prereq and fam & prep tasks. Tutoring will be provided by members that are MS, MSA and UDF and above. Those who are also SET qualified and have the required time in function can also sign off on SQTR tasks. Remember that one of CAP's ES missions is search. There is a list of ratings and personnel posted by the door. This should be sufficient to locate a suitable, willing trainer/supervisor. All member trainees are to print their desired SQTR from the eEservices page, under My Ops Quals, entry/View Worksheets. This will populate the SQTR with personal info and any tasks and certificates which have been validated and approved in eservices. All are requested to bring "your stuff", which may also include copies of reference texts and training guides. (Some hard-copy may be available). For the remaining squadron meetings March (and on into April as required), we will have a series of programs that are fun and enjoyable for the entire family. O.K., maybe it will only be fun and enjoyable for those that are starting on the ES ratings of MS and MSA, those who hold those rating and those who simply want to find out what the excitement is all about. The focus will be on what to do after Level I completion: GES, MS and/or MSA prerequisites, providing trainees with a 101 card and SQTR, along with other items needed to fully participate as a trainee at the next SAREX opportunity. Remaining time will be spent one on one or one on few coaching and training trainees by those who already have the ratings. While only meeting the requirements of CAWG SUPP CAPR 60-3 may sign off SQTR tasks, anyone who knows how to do a task can teach that task to others, which also reinforces the trainer’s knowledge of the material. All are requested to bring your “stuff”, including (when owned) having a function-appropriate uniform on hand, if not worn. As stated in 1LT Martin's post above, Thursday's meeting and the remaining meetings in March (and on into April) will be oriented towards getting new members moving along the pipeline towards their GES and their initial steps towards their ES ratings like Mission Scanner (MS) and Mission Staff Assistant. It is imperative that new members plan on attending these. We'd also like to have as many veteran members present as possible so the new members can benefit from your experience and advice. Let me echo Dave's mantra: come prepared. This means paper, pencils/pens, and other common sense items just as you would for a college class. But it also means that you should begin investigating the various resources and manuals and appropriate regulations pertinent to your field of endeavor. For example, for Mission Scanner there is a Task Book, a Home Study Course Part 1 and Part 2), etc. Additionally and equally applicable to all aircrew roles (Mission Pilot, Mission Observer, and Mission Scanner) is the CAP Mission Aircrew Reference text. The entry level to Mission Base staff can be Mission Staff Assistant, in which case one will want to acquire and begin studying the Mission Staff Assistant Task Book. Those more technically inclined might want to gravitate towards Mission Radio Operator -- for which there is also a task guide -- and a prerequisite ICUT requirement. but rather new members should consider all of the veterans as their mentors. But that said, the veterans will make every attempt to smooth out the bumps in the road, but we will not put you in a sedan chair and carry you down that road. Progress in this unit and in CAP requires effort on your part. 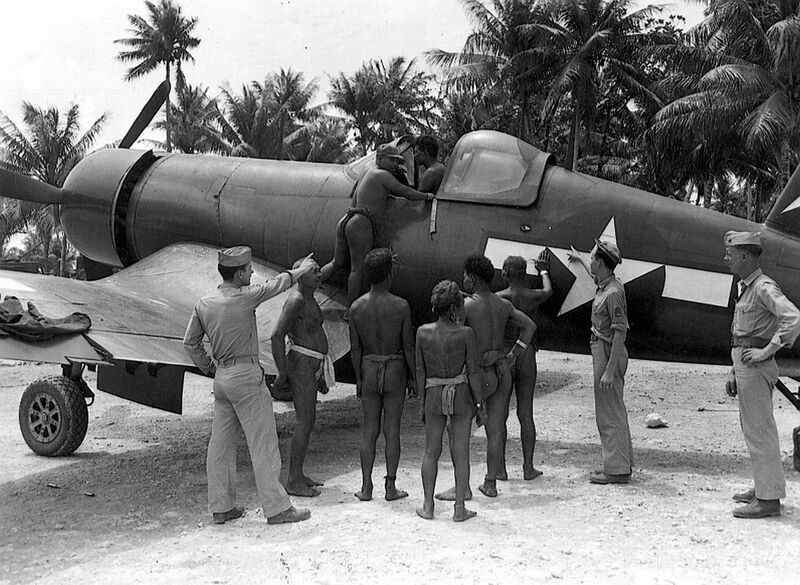 Towards that end, we are making the Squadron blog into more of a resource -- given that our web site creation effort is stalled. We now have added "pages to the site that covers the standard "welcome to CAP" as well as directions to the meeting place for recruits. These are over there on the upper right had corner under the legend "Other Useful Information". Additional pages will address "Getting started in Civil Air Patrol". It's modeled after a page on the Emelia Earhart Senior Squadron 188 web site. It's a work in progress now and should be finished later this week. Finally, still tentatively scheduled is the Squadron 150/Squadron 68 joint SAREX at Chino on 57 APR 2013. Details will be forthcoming so stay tuned. This Thursday's meeting will be an away game. Squadron 150 is going on the road to the Saddleback Valley Composite Squadron (Squadron 68) to take in a presentation by CAPT Tolga Tarhan of CAWG. The subject will be "SAREX Workflow" and should examine the mechanics of how a mission is organized and run. 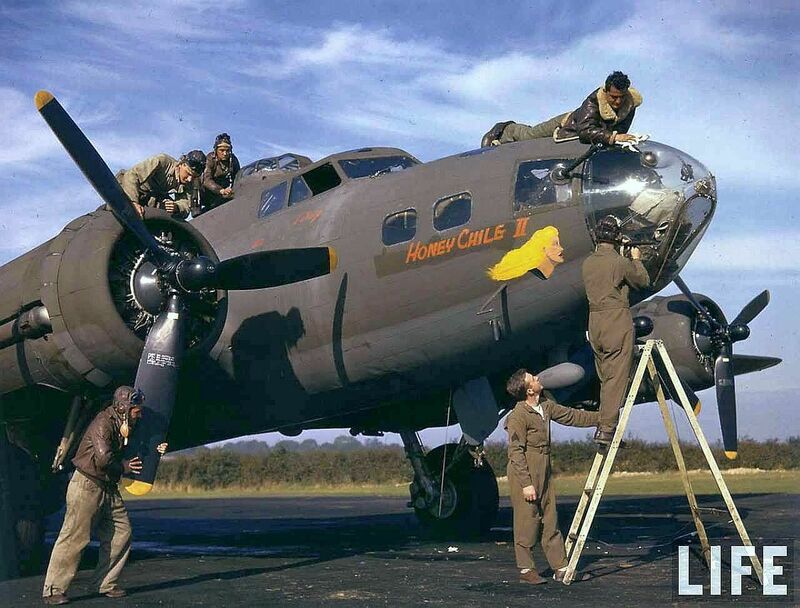 It is a must from every perspective -- mission staff and aircrew -- to understand roles various participants will play. The directions are here. You should pay special attention to the map and note that as you make the right turn from Bristol onto Newport Blvd, the reserve center comes up pretty fast on your right. If you miss that turn in, you will have to go around again as Newport is a one-way street at that point. Also, this may be the SQ 68 safety briefing night, so be sure you sign into the guest log in order to receive credit and become safety current through 30 APR 2013. 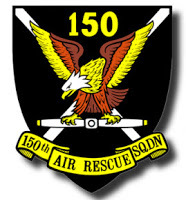 There are no known uniform requirements but if you are to represent 150, I ask that you dress sharply to reflect credit. Again, for emphasis, please be sure to arrive on time (1845) so as to not disrupt the proceedings. 1LT Dave Martin will post an announcement concerning the meetings for the balance of March. These will center on the theme of being prepared for SAREXes in anticipation of our Chino event scheduled for 6-8 APR 2013. This should include prep for Mission Scanner and Mission Staff Assistant. Check back here for more details.